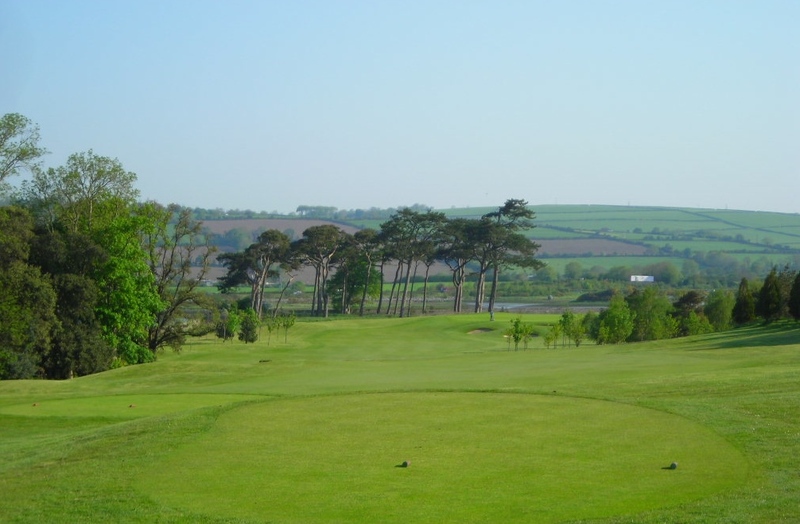 From Wednesday April 10th to Sunday April 14th, Fota Island is offering special green fees, prize draws and authentic, deep-south style après golf cooking! Surrounded by mature oak trees rather than azaleas, and with the colour green to be found in the beautiful parkland scenery rather than on any green jackets, Fota Island Resort will nonetheless be channeling a little bit of Georgia during Masters Week. In addition, each golfer will have the chance to enter a draw to win the special edition Masters range of Adizero golf shoes and golf apparel by Adidas. These are from the same collection that will be worn by Adidas-sponsored golfers such as Sergio Garcia for the first time at the 2013 Masters. The par five 10th, downhill most of the way. When your golfing day is done you can continue the authentic Georgia experience in the Spike Bar too, where some serious southern-style cooking will be on offer, from chicken gumbo to corn bread and grits, Georgia style hamburger & fries and peach cobbler. You may not get to Augusta for this year’s Masters, but you can certainly get a flavour of the experience and find your very own Amen Corner at Fota Island Resort... probably starting at the 10th. Would you like to get away with three friends for two days of golf and five star luxury? 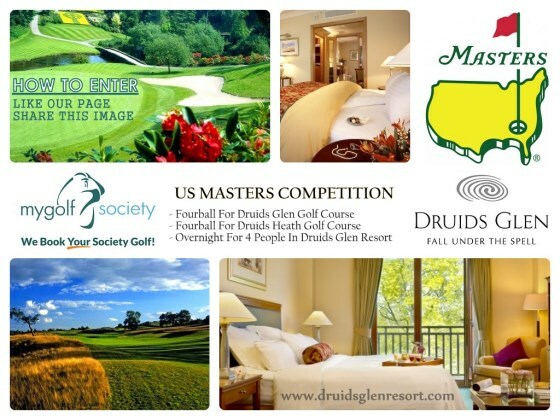 Simply 'like' My Golf Society's Facebook page and 'share' their latest image to be in with a chance of winning a voucher for a fourball at Druid's Glen and Druid's Heath. Overnight accommodation for all four people is included in the five star Druid's Glen Hotel. When it comes to entering a competition with a prize worth, well, something in the region of €700, it doesn't get easier than Liking a Facebook page and Sharing the image. Photographs of the brilliant Druid's Glen are here. 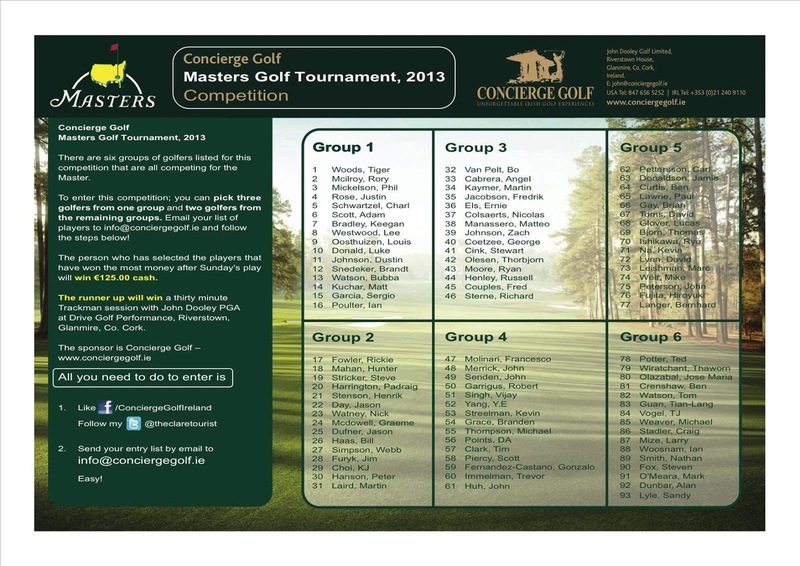 And another interesting picking-the-winning-names competition, this time from Concierge Golf. Click on the image below to enlarge it and then follow the instructions. 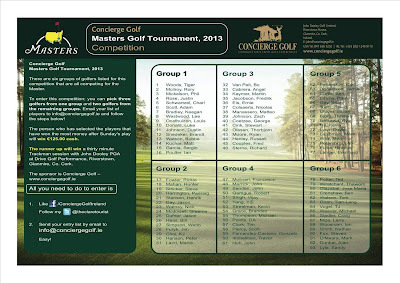 You get to pick five golfers and depending on how they perform, you could win €125. Not bad for a simple pick 'n' mix. And the runner-up gets some free tuition from John Dooley, PGA Pro. 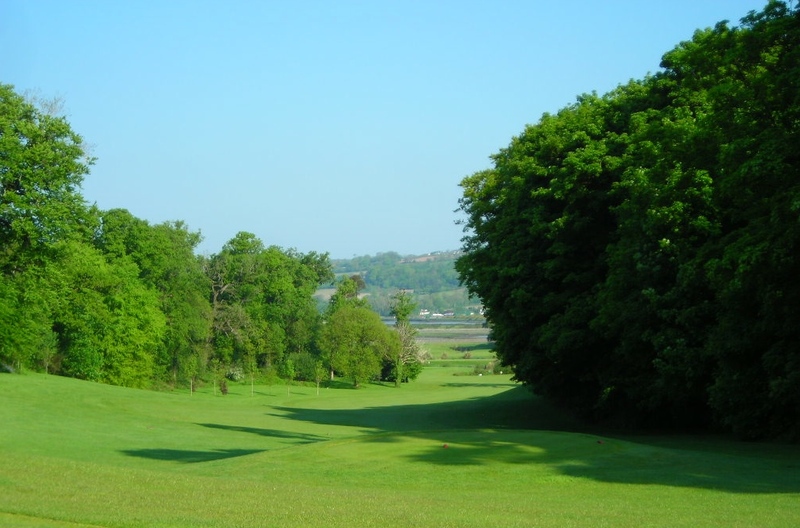 Hilton Templepatrick (Co. Antrim) US Masters Golf Offer! £25 for a round of golf and a free beer after your game in Kinahan’s Bar! RTE 2FM US Masters Fantasy Golf Competition (in association with Just Treats). Pick your top 5 golfers and win a prize of an overnight stay for two at Knightsbrook Hotel and Golf Resort... plus golf, obviously. It's all good fun and most of it is free. If you find any other special Irish US Masters offers or giveaways, please let me know (add to Comments box). And don't forget my little competition below. Galway bay on Facebook. Like,share and pick winner for 4 green fees. Cheers for the info man, have entered most of the comps..
Those Golf courses are beautiful! You are always at the masters if you're in Ireland! I have found your great golf blog, which I really like it. I enjoyed to read your posts and tips.